Woodenbridge Lodge is nestled in the stunning countryside of South Wicklow’s Vale of Avoca. 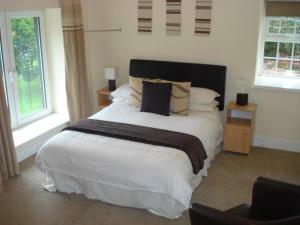 Set in landscaped gardens overlooking the Aughrim River, it offers modern rooms with free Wi-Fi. The Lodge is part of, and adjacent to, the Woodenbridge Hotel. Guests have use of its award-winning Redmond Restaurant, which serves international and Irish cuisine. The traditional Gold Mines Bar has live music every night during summer months. Cooked Irish breakfasts are served daily. 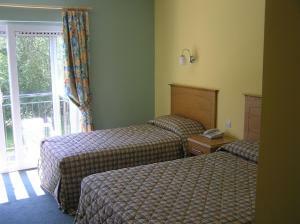 Rooms at the Woodenbridge Lodge all include TVs, hairdryers and works desks. Some rooms have balconies with countryside views. A safety deposit box is available for guests to use. The stunning Woodenbridge Golf Course is opposite the hotel. The coast at Arklow is a 10-minute drive away and free parking is available at Woodenbridge Lodge. This 4-star BnB is a Georgian-style farmhouse overlooking the sea and mountains. Surrounded by picturesque countryside, it boasts homemade breakfast served in a conservatory with beautiful views. There is also free Wi-Fi and free parking on site. 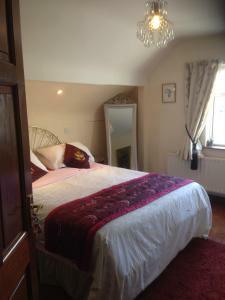 Rooms at Moneylands Farm BnB and Self-Catering are light, airy and traditionally furnished. Features include a TV and an en suite bathroom. The self-catering accommodation is in a converted courtyard, close to the BnB. 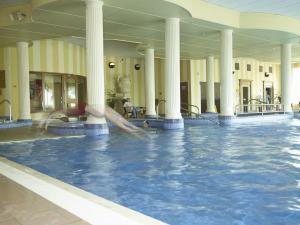 There is a leisure centre with a swimming pool, gym, and sauna, as well as a tennis court and table tennis facilities. Guests can also relax in the lounge, with unlimited tea and coffee. There is a bus stop 1 km from Moneylands Farm that travels to Dublin city centre, Dublin Airport, and Wexford. 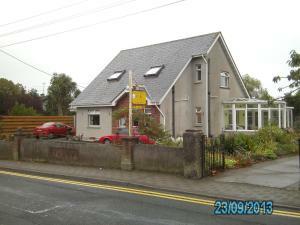 Valentia House provides room only accommodation in Arklow, County Wicklow, around 1 hour's drive south of Dublin. Just 10 minutes' walk from the town centre, this family-run guest house has a garden and free parking. 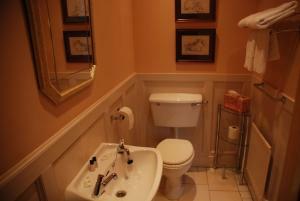 Each room at Valentia House has en suite bathroom facilities with shower and hairdryer. There is a flat-screen TV and tea and coffee facilities in all rooms. The house has a patio area with outdoor seating and sun loungers. Arklow has its own golf course just outside the town. Among other attractions in the region are Mount Usher Gardens, a 25-minute drive, and Blessington Lakes and the Wicklow Mountains National Park, both around 1 hour away. Overlooking the sea and just a short walk from Arklow town, the hotel offers tasty food, an impressive leisure club and spa, and 92 rooms, some with spectacular sea views. Arklow is a charming and historic town surrounded by hills and beautifully located by the sea. The very heart of the town is just a quick stroll from the hotel. The Arklow Bay Hotel's impressive leisure facilities include an indoor swimming pool, a sauna, a steam room and a gymnasium. The Bay Beauty and Day Spa offers a range of relaxing and therapeutic spa treatments. Delicious food is available in the award-winning Howards' Restaurant and also in the Ferrybank Lounge, which offers live music on selected nights. The comprehensive wine list offers a selection of expertly selected wines to complement your meal. Ashton House is luxury guesthouse in the Vale of Avoca, location for the TV series Ballykissangel, next to the Meeting of The Waters, where the Avonmore and Avonbeg Rivers meet. The spacious rooms at Ashton House are elegantly decorated in light modern colors, and feature satellite TV and free Wi-Fi. They also include tea/coffee-making facilities, hairdryers and have either views of the grounds or river. Each morning traditional Irish breakfasts are served at the guesthouse. Guests can relax in the large lounge, or the outdoor sitting area, which overlooks the grounds. 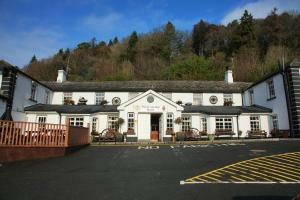 Opposite the property, there is a pub, which offers home-cooked food, local ales and regular live Irish music. Excellent trout and salmon fishing is available on the river and guests can take countryside walks along the Wicklow Way. 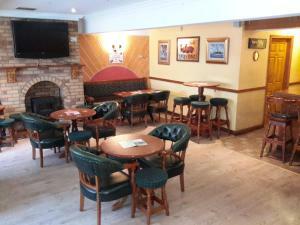 Bridge Hotel is a family run hotel located in Arklow. Guests can enjoy the on-site bar, free WiFi throughout and free parking. All rooms have an en-suite bathroom, a desk, tea/coffee making facilities, ironing facilities and a hairdryer. The fully licensed bar/lounge serves food and snacks, local craft beers, spirits and international brands. There is a shared guest lounge and luggage storage facilities. An array of activities and amenities can be enjoyed locally, including golf, fishing, hill walking, stunt driving, archery, leisure centres, cinemas, horse riding, restaurants and bars, hairdressers and beauty salons. Dublin Airport is 43.5 miles away. The Meetings B&B is located directly at The Meeting of the Waters. Guests can enjoy the property's communal balcony, which directly overlooks the Avonmore and Avonbeg rivers. 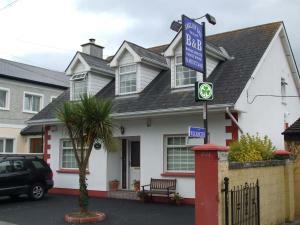 Situated in Avoca, this bed and breakfast boasts a bar and a shop, and offers guests free on-site parking and free WiFi. Each room includes a flat-screen TV with a DVD player and tea and coffee making facilities. 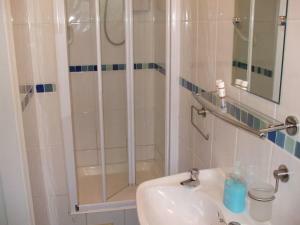 The rooms also all benefit from an en-suite shower room. Some rooms feature river views. The onsite convenience store serves ice cream, sweets, and alcoholic drinks. Guests at The Meetings can enjoy scenic walks along the river banks. The property is ideally located for exploring Wicklow, which is home to Avondale House, Avoca Handweavers, and Glendalough. 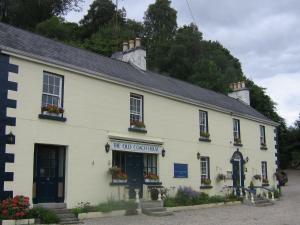 The Old Coach House is an award-winning 18th-century coaching inn, set in the Vale of Avoca. The inn is next to the Meeting of the Waters, made famous by the poet Thomas Moore. The spacious rooms are traditionally furnished, and have scenic views of the river or grounds. 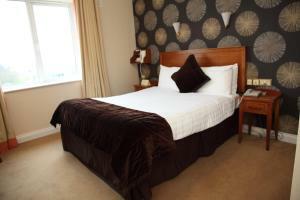 All bedrooms have luxury toiletries, tea/coffee facilities, mineral water and free Wi-Fi. 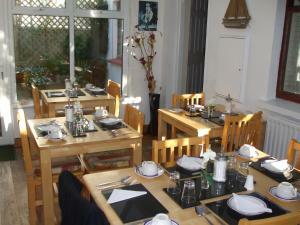 Freshly cooked breakfasts are served in the traditional dining room, and packed lunches are also available. Caralliot Restaurant serves a varied evening menu, featuring traditional Irish recipes and locally sourced produce. 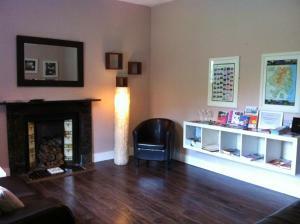 Guests can relax in the very spacious lounge, featuring open fires and a small library of books. There is also a terrace and outdoor seating areas in the pretty grounds. The beaches of Wicklow are only a 10-minute drive from the inn. The Old Coach House offers free private parking and bike rental, and both horseback riding and fishing are available nearby. The Old Barracks Avoca is located in Avoca. Free WiFi access is available in this country house. The accommodation will provide you with a TV and a seating area. 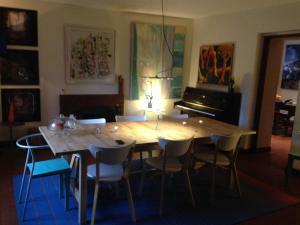 There is also a dining table. Shared bathroom also comes with free toiletries. There is an additional bathroom. You can enjoy mountain view and river view from the room. Extras include a CD player, satellite channels and cable channels. At The Old Barracks Avoca you will find a garden and a terrace. Other facilities offered at the property include a shared lounge. The property offers free parking. If you feel like visiting the surroundings, check out The Avoca Handweavers (5.5 km) and Avoca Mines (8.1 km). 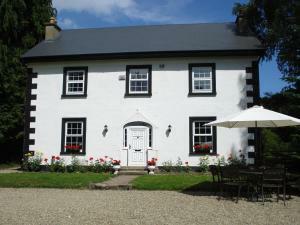 This country house is 68 km from Dublin Airport. 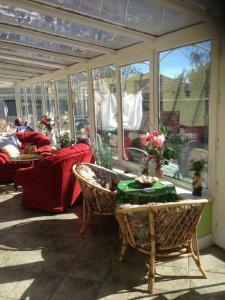 In Arklow's centre, this BnB offers home-cooked breakfasts and bright, spacious rooms. Guests can enjoy free parking and free Wi-Fi, and regular buses and trains to Dublin run nearby. 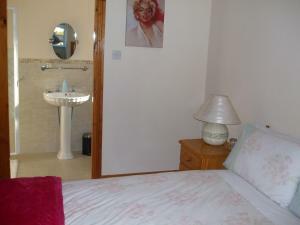 Each room at Arklow Bay Orchard Bed and Breakfast offer an en suite bathroom and a hairdryer. Guests can relax with a TV and free tea and coffee in the room. Breakfasts are served each morning in the bright an airy conservatory breakfast room. Early morning breakfasts are also available. The Arklow Bay is located beside Arklow's shopping centre, swimming pool and gym. Leapordstown is a 40-minute drive away from the BnB. This 400-year old hotel is nestled in the beautiful Vale of Avoca, overlooking Woodenbridge Golf Club. 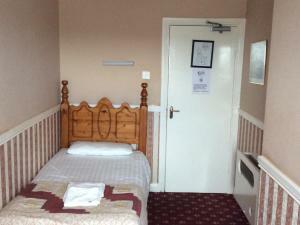 Its modern rooms have free Wi-Fi, while its AA Rosette restaurant serves full Irish breakfasts. 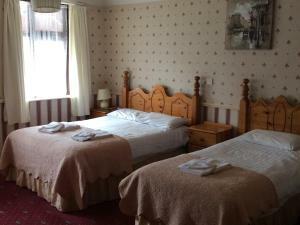 Rooms at the Woodenbridge Lodge all include TVs, hairdryers and tea/coffee facilities. Some rooms boast balconies with countryside views, while other overlook the Aughrim River. The traditional Four Vales Bar has regular live music, traditional Irish nights, and is decorated with Victorian memorabilia. The award-winning Redmond Restaurant serves both modern and traditional Irish cuisine alongside an extensive range of wines. There are beautiful hiking trails throughout the Vale of Avoca and along the riverbank. The Georgian Avondale House, set in a vast, 500-acre forest park, is just a 10-minute walk away. 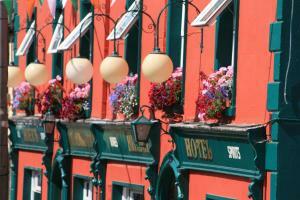 The Royal Hotel Arklow is located in Arklow, 28 miles from Bray and 10.6 miles from Gorey. Guests can enjoy the on-site bar and nightclub. 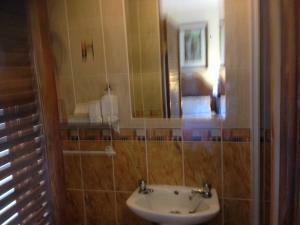 Each room has a TV and an en suite shower. 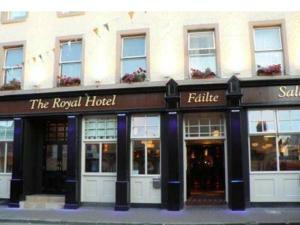 The Royal Hotel Arklow features free WiFi throughout. You will find a 24-hour front desk at the property, and Sally O'Briens Bar and Niteclub is located on site. Music and bands are featured at the weekends. Groups are welcome at the hotel. Discounted rates are available for Arklow Golf Club when booked through the hotel. Wicklow is 13.7 miles from The Royal Hotel Arklow, while Enniscorthy is 26.7 miles from the property. The nearest airport is Dublin Airport, 43.5 miles from the property.